Mark graduated in London (1978) and has been a consultant urologist in Taunton since 1990. He has undertaken research into benign and malignant prostate disease, bladder cancer and quality of life and published over 140 papers and 8 book chapters. He has supervised post-graduate students through MD, MS and PhD degrees and is current educational supervisor for the Foundation junior doctors. 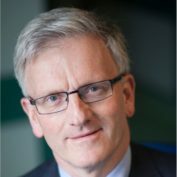 He was President of British Association of Urological Surgeons from 2014 – 2016.